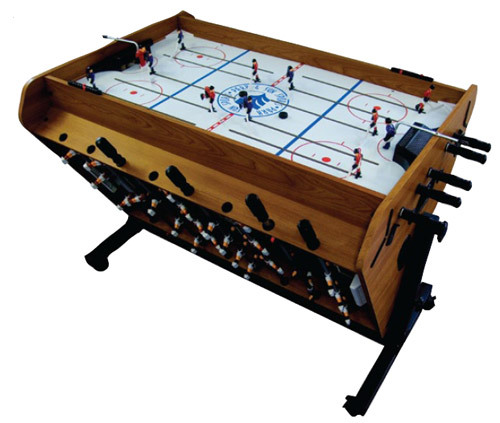 The Combination 4-In-1 Rotational Game Table offers rod hockey, foosball, billiards and dice football. Sturdy steel base frame with laminated wood construction. Turn-style knobs for easy rotation of game selection. Includes both leg levelers and casters. Equipped with game accessories for all games, this table is great for football parties, barbeques and all other get togethers. Assembly required.